Kelly and Chris stepped out of the typical wedding comfort zone when creating their wedding. 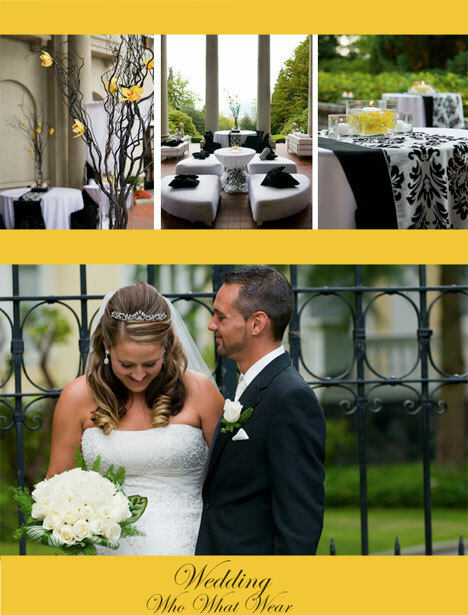 The bright yellow and black pallet created a sweet yet elegant look to their wedding day. 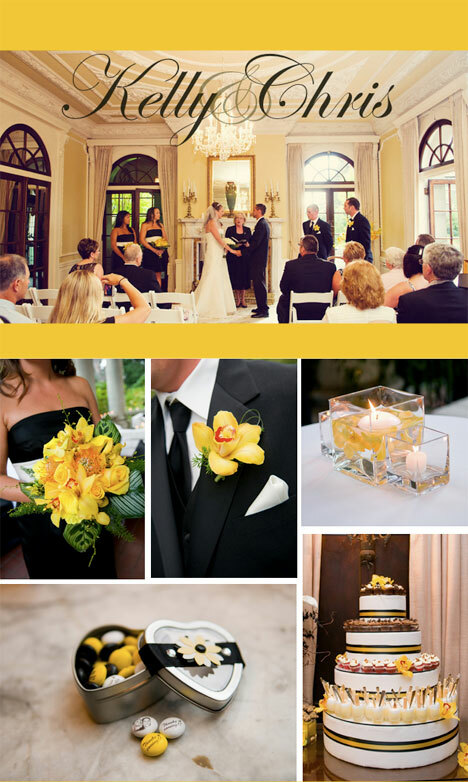 The choice of flowers created a focal point for their guests to feel the warmth of the bright yellows. 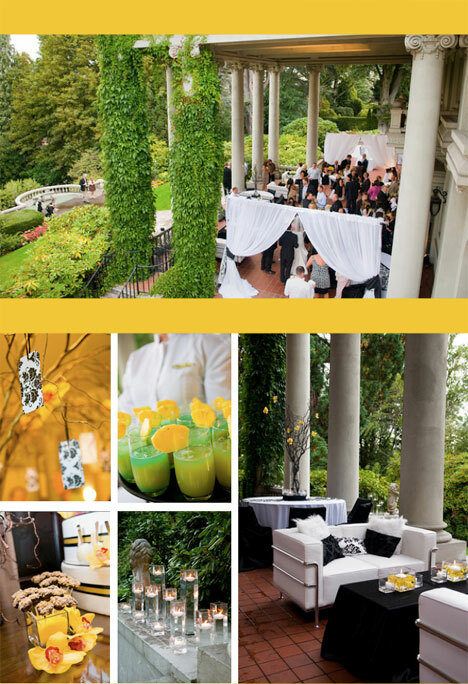 Guests took home yellow, white and black custom M&M's with the bride and groom's faces printed on one side. Fun and creative! The 'Faux cake" was created to display numerous mini desserts, creating a breath taking tiered dessert display. A warm and welcoming lounge was put together on the outside patio for guests to mingle and enjoy signature cocktails and appetizers. A wishing tree is a great way to add a grand focal point to your reception decor. As well as a way to get your guests involved in leaving you a personal note, stepping away from the traditional guests book! You can later take all the notes and create a scrap book with candid photos of your guests and their personalized notes to the bride and groom.